The GPU is the one single hardware feature that determines what games cam be played on the laptop, with all things equal. And for the most part, just about every laptop today sport the CPUs that effectively evens out the playing field when it comes to game processing muscle – multi-threaded quad cores. As of this writing is matter little whether a laptop is has a 3rd generation Ivy Bridge quad core or a Haswell. Even some dual core processor can do the job since games are really more vector graphics-intensive than any most other tasks, including watching high definition home video which rely more on high video RAM or system RAM is the video memory is shared. What is the implication of GPUs on the price? Class 1 Category GPUs which can play the most demanding RPG and FSP games released over the last 2 years at high to highest game detail settings and the highest HD resolution certainly add a premium to the price tag. There are around 50 Class 1 GPUs and the top 10 high performance GPUs are often found in laptops at or above the $2,000 price point. That means if you look hard enough, you can find many laptops below this price point that still use the mid-to-low end GPUs in the Class 1 category. In fact, we found some sub-$1,000 laptops that do. If you are not in the market for the latest Haswell-driven laptops, you may find some real bargains in older Ivy Bridge laptops sporting Class 1 GPUs. If you just want to play older RPG and FSP games, or are more into online multiplayer games, even a Class 2 or Class 3 graphics engine will do fine. 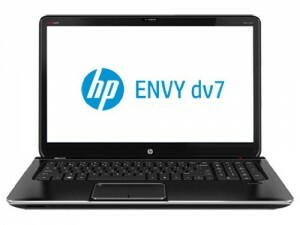 In fact, most laptops carry them and are priced from $500 to $1,500. Our minimum threshold graphics engine to qualify a laptop as a decent gaming laptop is the Intel HD Graphics 4000. All the Intel HD GPUs are integrated with the CPU and shares with the system RAM. This family of GPUs fall under the Class 3 category and will play many games at low to medium game setting at the lowest HD resolution. The new Haswell CPUs have a revamped line of integrated Intel HD Graphics engines with the Iris Pro 5200 at the tail end of the Class 2 category GPUs. In general, the larger the screen and the higher the resolution, the more dollars you have to pay. The typical laptop has a 15.6 inch screen size with 14 and 17.3 flanking it on either ends. 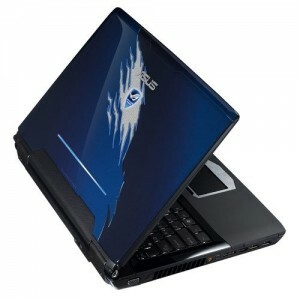 The 13-inchers are most often used in netbooks and there are a few laptops that have 18 inch screens. In terms of resolution, High Definition or HD is the norm and you have three levels, low HD at 1366×768, medium HD at 1600 x 900, and full HD at 1920 x 1080 pixel resolution. All of them sport a wide-screen 16:9 aspect ratio. Needless to say, the higher the resolution, the more dollars are added to the price tag. It is here where many gamers do some juggling act on the features they would like to see on their gaming laptops to get the most value for the money. A class 1 GPU on a 14-inch medium resolution laptop can be priced more affordably than one with a 17.3 inch display at full HD which could easily exceed $2000. Bear in mind that a lower resolution display can play games more smoothly given the same game detail setting on the same GPU. Large displays are always desirable whether for playing games or watching a high definition video. But in many laptops using Class 2 or 3 GPUs, a large screen with a high resolution is easily a waste because you will need to lower the default resolution to play most of the demanding games out there. Balancing the features to get your money’s worth for a gaming laptop may require you to get as much power from a GPU as possible on a laptop with the least HD resolution and screen size. Serious gamers are always looking for laptops with a solid state drive to speed up loading of apps and OS from cold boot-up as well as hasten fetching new maps, textures and levels in a game. Not all games may benefit for this but when you hear your laptop or PC whirl the hard drive when going from one level to the next, or when loading new game maps and textures, that means the game is fetching data from the hard drive and can benefit from the faster seek times in a cached or solid state drive. SSDs can easily add a hundred dollars or two to the cost of your laptop depending on the data storage size and not all laptops have a second drive bay to accommodate one. In many budget laptops, there’s just one drive bay which could prompt you to have either a 1TB SATA drive or a 128 SATA III SSD which can cost about the same. If you don’t mind a few seconds of lag time between game levels or when loading ne map terrains and textures, your gaming pleasure won’t necessary suffer without a solid state drive,. But if, as most serious gamers usually prefer, you simply can’t do without one, be prepared to make a choice to forego a 1TB or 750GB hard drive for a smaller 128GB or 256GB SSD. Storage is not a problem as serous gamers can simply transfer 2-3 games from their desktop gaming workstation to the laptop for what they are currently playing. You can’t possibly be playing even half the games on your desktop hard drive while on the road anyway. And if you are more into online gaming, even a 64 GB SSD will do. If you are mostly interested in online games, a budget laptop with WiFi or a USB port to accommodate an dongle for internet access is your most practical gaming solution on the road. And for most gamers, an HDMI port to connect to a large 32” or 48” HDTV is most desirable. An extra USB port to connect an external mouse comes in handy when you prefer to use one over the laptop’s track pad, as most gamers do. Unless you don’t mind listening to the teeny weeny sound of your laptop, a mini stereo jack for a more realistic sound from a set of headphones of power speakers should be basic in a gaming laptop. Some of the more expensive laptops have surround sound 4-speaker systems with a subwoofer. They sound incrementally fuller than those without, but nothing beats a good set of headphones or powered speakers to give a more immersive realistic sound. An inexpensive gaming laptop often has the worst speaker systems in the market. But that’s just the laws of physics taking its toll. You just can’t have good sound on those little boxes. Even those large HDTV sets sound pathetic with their in-built audio systems. That is why veteran home theater aficionados use a suitable multichannel receiver and a set of high-fidelity speaker systems. Even if an inexpensive laptop has those Dolby and THX-certified speakers, don’t count on them to give you a rewarding sonic experience. Any improvement over the typical laptop sound won’t be worth the added dollar to your cost. Unfortunately, in an effort to make cheap laptops more marketable, manufacturers would add these bells and whistles. If you have to choose between two laptops where one has these audio improvements for a few dollars more, better save those dollars for a good pair for of earphones or headphones. Your laptop can provide a rewarding gaming experience if you know what games you want to play and how you can play them at the price you are willing to fork over. If you are a casual gamer who is already thrilled playing less sophisticated game released over the last 2-3 years, cheer up, even laptops below the $700 and $400 price points can do the job. 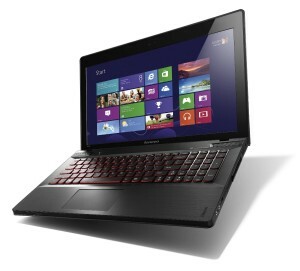 It’s always tempting to buy the meanest gaming laptop which often occupies the top-of-the-line range in any brand. But they will cost upwards of $2,000. If you are looking for really inexpensive laptops that are essentially bargain laptops below the $1,000 price point, here are a few suggestions. 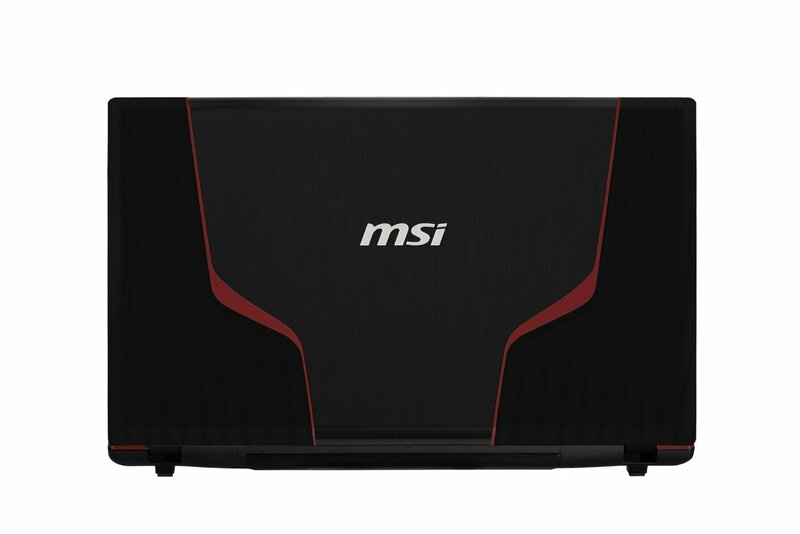 This MSI GE60 model offers an inexpensive solution for the gaming muscle it provides. Powered by a 4th generation Haswell Intel quad core i7-4700MW clocked at 2.4 GHZ (up to 3.2GHz with Turbo Boost), and supported by an 8GB DDR3L system RAM upgradeable to 16GB, you get a high end Class 1 category GTX 765M graphics engine with 2GB GDDR4 video RAM to drive its 15.6-inch LED backlit full HD (1920 x 1080) resolution display. This gives you the muscle to play even Company of Heroes 2 at medium game setting at the default resolution. This mean you play just about any of the newly released sophisticated games over the last two years at medium to high game detail settings. You also get a 750GB SATA hard drive running at 7200 RPM, a SuperMulti DVD optical drives. A serious gamer shouldn’t miss this inexpensive laptop for its 15.6-inch LED backlit screen with full HD resolution (1920 x 1080) driven by a muscled GPU listed at the top of Class 2 category graphics engine. This is the GTX 750M with 2GB GDDR5 video RAM. But what makes this Lenovo IdeaPad Y510 a high value gaming laptop is its dual card SLI configuration that put its graphics rendering prowess to mid-level Class 1 category. With the exception of Company of Heroes 2 which stutters at medium game setting and is best played at low setting, all the rest of the high performance RPG and FSP games can be played at medium or high game setting at the default or reduced HD resolution. Most older games can be played at their high to ultra high game settings. You can opt to use the second GPU to house a DVD of Blu-ray optical drive sold separately. At a mere 6.4 lbs and powered by a 2.4 GHz 4th generation dual core i7-4700MQ with 8GB DDR system RAM, it comes with a 1TB SATA hard disk running at 5400 RPM, an integrated 720p HD webcam, JBL speakers driven by the Dolby Home Theater v4 system, HDMI and the usual coterie wired and wireless data connectivity ports. It comes bundled with the Windows 8 OS. 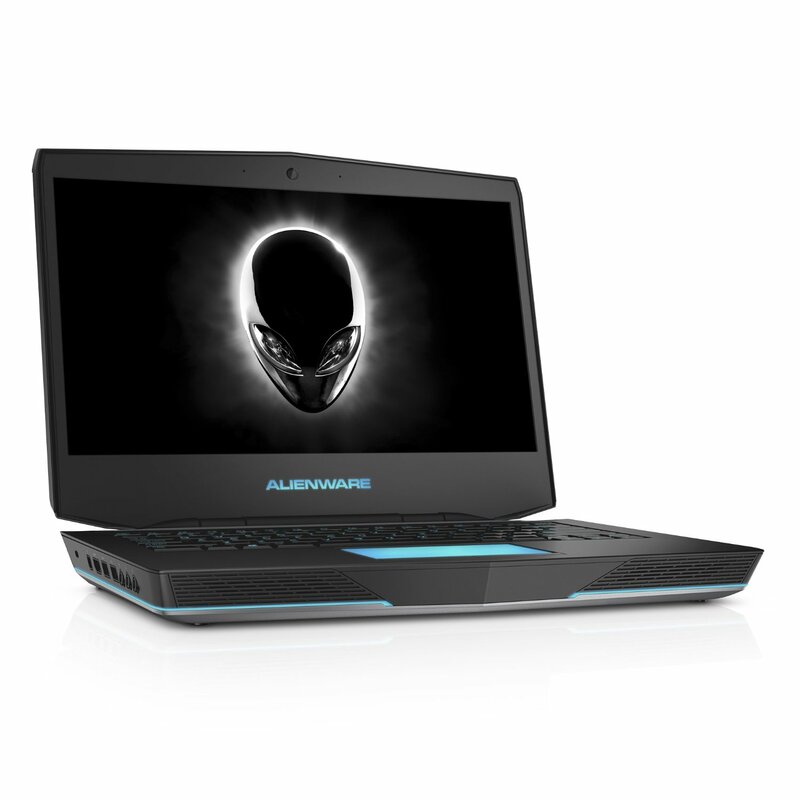 This Alienware model packs superb gaming prowess with a 4th generation Haswell Intel i7-4700MQ clocked at 2.4 GHz and an 8GB DIMM system RAM upgradeable to 16 under the hood. What makes it gaming prowess competently served by a smallish 14-inch LED backlit screen with just the lowest HD resolution (1366 x 768) is the top-end Class 2 category Nvidia GeForce GT 750M graphics engine with its own 1GB GDDR5 video RAM. You can play all the recently released RPG and FSP games at low to medium game detail settings at the default screen resolution with the exception of Company of Heroes 2 and SimCity which can play smoothly at low game settings. On the other hand, games like Dota 2, Grid 2, Tomb Raider, BioShock Infinite and Dead Space 3 can play at high game settings. At a reasonably hefty 6.1 lbs on a 1.65-inch body profile, it has no SSD but its data storages is served modestly with a 750 GB STA hard disk running at 7200 rpm and a SuperMulti 8x optical drive, a 9-in-1 media card reader, and a host of data connectivity options. It comes bundled with the Windows 7 Home Premium 64-bit. 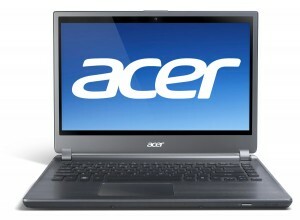 This Acer TimelineU model is powered by 3rd generation Intel i5-3317U processor with 3MB cache and a clock rate of 2.6GHz. System RAM is a basic 4 GB SDRAM while its 14-inch LED backlit display with low HD resolution (1366 x 768) is driven by a muscled Class 2 category Nvidia GeForce GT 640M LE with a dedicated 1GB GDDR5 video RAM. With the exception of Company of Heroes 2 and Hitman: Absolution which will have some difficulty or cannot be played even at low game settings, all the newly released high performance games can be played at low to medium settings at the default resolution. Some like Grid 2, BioShock Infinite, StarCraft 2: Heart of the Swarm, and Dead Space 3 can be played at high game settings. 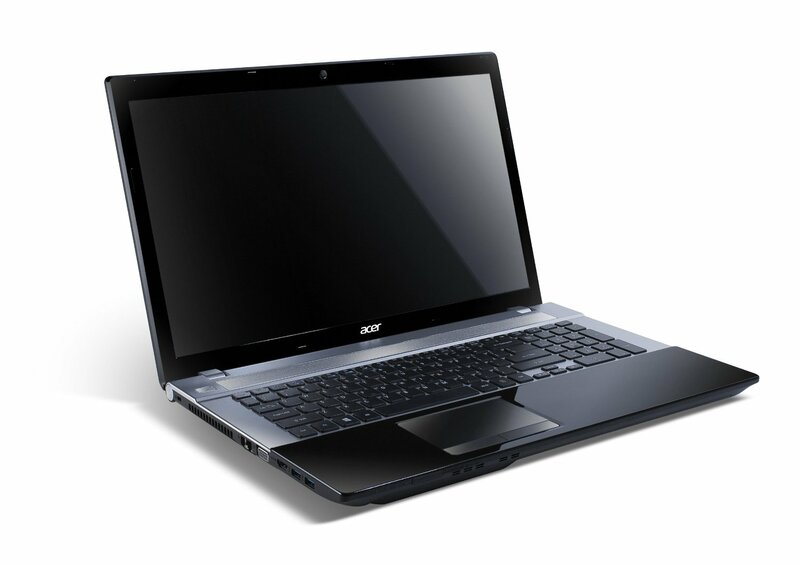 With a slim 0.81-inch profile and a backpack friendly 4.3 lbs, this Acer houses a modest 500GB SATA drive and a 30GB Solid State Drive, an 8x SuperMulti DVD optical drive, a 2-in-1 media card reader an HD webcam and the Acer 3D Sonic stereo speakers, and comes with all the standard wired and wireless data connectivity ports. It comes preloaded with the 64-bit Windows 7 Premium Home edition. At a list price of $799 (now discounted to $712.36 at Amazon), This Aspire model offers one of the best value for the casual and serious gamer on the road for a one that is powered by a 3rd generation Intel Core i5 3230M clocked at 2.6 GHz, with a 3 MBL3 Cache and a system RAM od 8 GV DDR3 upgradable to 16GB. Its 17.3-inch LED backlit display sports a medium HD (1600 x 900) resolution driven by a Class 2 category Nvidia GeForce GT 730M with its own 4 GB DDR3 video RAM. While Company of Heroes 2 will not play, most other 2013 releases of high performance games can lay at los to medium game detail settings at the default or reduced HD resolution. Dead Space 3, Assassin Creed 3, Dishonored, Walk of tanks v8 and Borderlands 2, among others, can play at high game settings. Weighing just 7 lbs, this Acer has a slim profile at 1.36 inches and houses 750GB SATA hard drive running at 5400 RPM on a dual baa drive bay that allows you to add another drive or SSD, an 8X SuperMulti dual layer DVD optical drive, along with a slew of data connectivity options., It comes preloaded with the Windows 8 OS. This Asus is powered by a 3rd generation Intel Core i7 CPU clocked at 1.73GHz and supported by a 4GB DDR3 system RAM upgradeable to 8 GB. Asus N53JQ model is a few notches above the performance of laptops in our minimum threshold pegged at the Intel HD Graphics 4000 as it uses a Class 3 category discrete GPU in the Nvidia GeForce GT 425M with its own 1GB DDR3 video RAM to drive its 15.6-inch LED backlit screen with a low HD resolution (1366 x 768). Most recently released games will not play and those that do will play in the low game detail settings at the default resolution. But older games like Risen, Battlefield:: Bad Company 2, resident Evil5, StarCraft 2 and Metro 2033 can play at medium resolution while Fifa 11,12 and 13,as well as CoD Modern Warfare 2, Sims 3, and Need for Speed Shift. DIRT2 can play at high game settings. Data storage is served by a 500GB SATA hard disk running at 7200RPM. It comes with the standard wired and wireless data connectivity ports and is bundled with the 64-bit Windows 7 Home Premium edition. A relatively older Asus but just as muscled in the gaming department, this Asus model is a good one. Powered by the Intel i5-430M clocked at 2.2 GHz and supported by a 4 GB DDR3 system RAM upgradable to 8GB, the G60JX-RBBX05 sports a non-typical 16-inch LED backlit display with a lowest HD resolution ate 1366 x 768. This is driven by an Nvidia GeForce GTS 360M which is equivalent to the Class 2 category GT 640M LE and backed by its own 1GB video RAM. 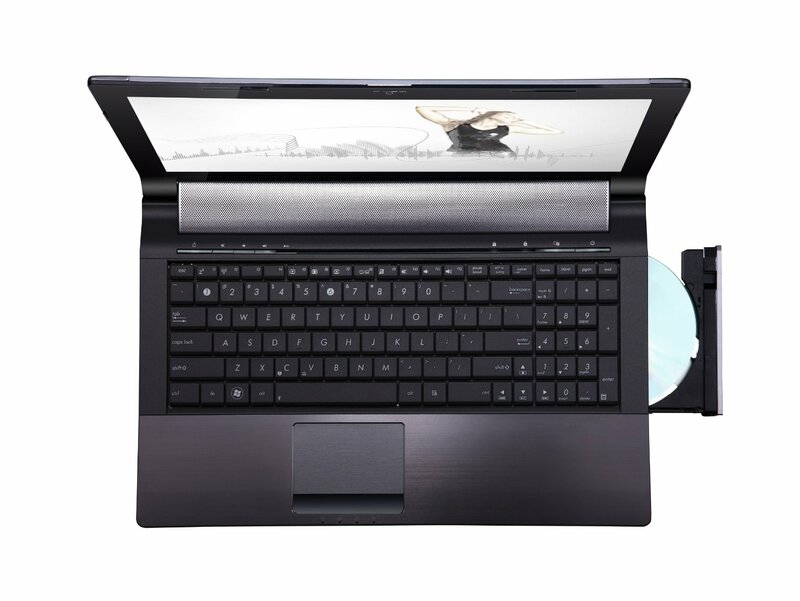 This enables the laptop to play just about all the recently released sophisticated games at medium game setting at the default HD resolution with the exception of Company of Heroes 2, Assassin’s Creed 3 and Hitman: Absolution which can’t play at all. Tomb Raider and Crysis 3 plays only at low game setting while Dead Space 3 Grid 2, BioShock Infinite, StarCraft 2: Heart of the Swarm, and Dead Space 3 can be played at high game settings. Weighing a hefty 7.5 lbs, it comes with 500GB SATA drive, a dual-layer DVD optical drive, Altec Lansing speakers, the usual wired and wireless data connectivity ports, and bundled with a 64-bit Windows 7 Home Premium edition. 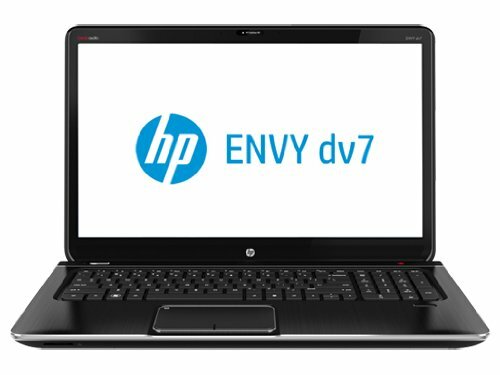 This is another great value HP laptop powered by the quad core AMD A10-4600M clocked at 2.3GHz that can be boosted to 3.2GHz with Turbo Core and supported by an 8GB DDR3 system RAM. Its 17.3-inch BrightView LED backlit display takes a medium HD (1600 x 900) resolution driven by the Class 3 category AMD Radeon HD 7660G Discrete-Class graphics considered the fastest GPU used only in the A10 series and comes with its own 4GB DDR3 video RAM. This mean it can play most sophisticated RPG and FSP games in the low resolution at the default HD resolution or lower. It won’t play Metro: Last Light, Saints Row 4 or Splinter Cell: Blacklist smoothly but it can play Dota2, Total War: Rome 2, and StarCraft 2: Heart of the Swarm from medium to high game settings. 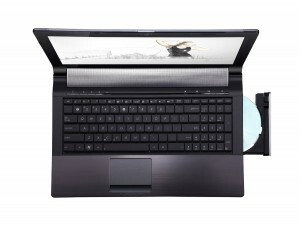 It comes with 750GB SATA hard drive running at 5400 RPM and a SuperMulti DVD burner/optical drive, Beats Audio system with 4-speaker systems and a subwoofer, the usual wired and wireless data connectivity options and a full 1-year warranty. 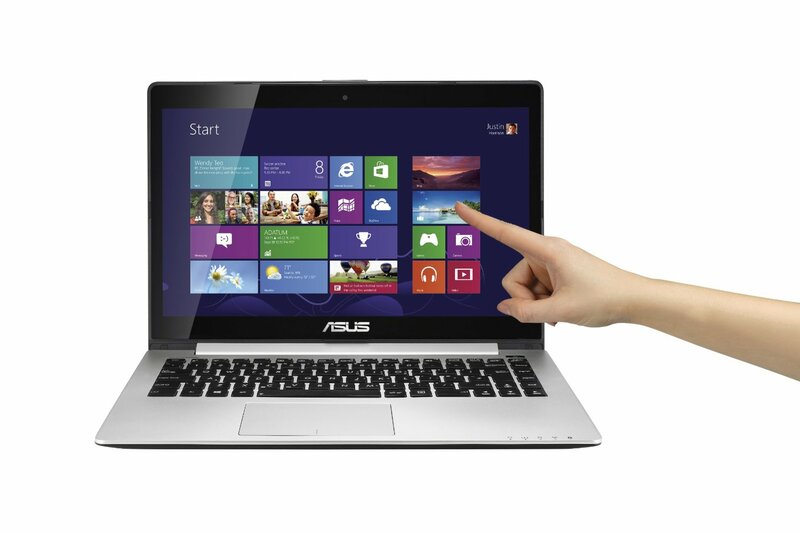 This VivoBook is powered by the 3rd generation Intel Core i5 3317U processor clocked at 1.7 GHz Processor. Its 14.1-inch LED backlit display has capacitive multi-touch functionality specified at a low HD resolution (1366 x 768) and is driven be Intel HD Graphic 4000 integrated with the CPU and sharing its video memory requirements with the 4 GB DDR3 SD-RAM system memory. While most recently released high performance games will not play, some like Splinter Cell: Blacklist, The Bureau: XCOM Declassified, Tomb Raider and StarCraft 2: Heart of the Swarm can play at low game setting at default resolution. Older games like Dead Space 3, Grid 2, Far Cry 3, World of Warcarft, Call of Duty 4: Modern Warfare, Diablo 3, Call of Duty: Black Ops 2, and Counter-Strike: GO can play from low to medium settings. On the other hand, Mass Effect 3, Fifa 12 and 13, and Trackmania Nations Forever can play at high game settings. It comes with a 500GB hybrid hard disk drive running at 5400RPM and integrated with a 24GB Solid-State Drive. It is preloaded with the Windows 8 OS. 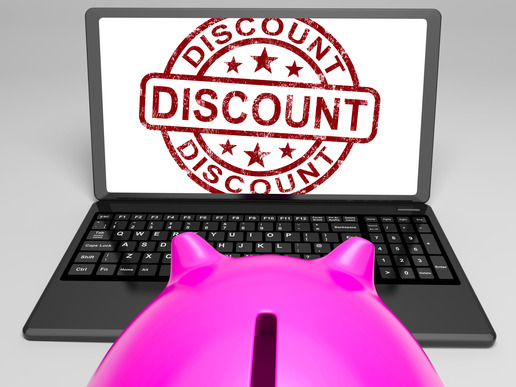 we have compiled the 10 best bang for your buck inexpensive laptops.